said Leonard de Vinci to his students. What about discovering biomimicry while playing? Complete the 24 challenges thanks to the superpower of the nature (few exemples of biomimicry). Each with its own superpower, sens of observation and imagination, you will have to succeed your world tour as a team by crossing each continents, from Nuuk to Santiago, including Paris and the Amazonie. Whether to move, build, heal or get dressed, the whole living creatures are limitless sources of inspirations. During the game, the players, from 7 to 77 years old will become aware of this richness and the importance of preserving and restoring it. 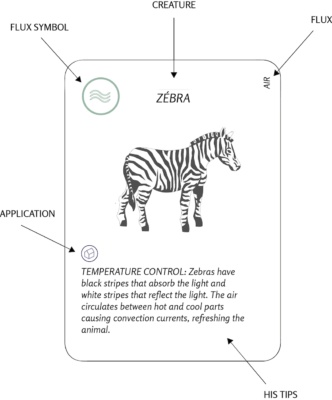 Through the 25 examples, the players discover the value of the biomimicry. They will learn the super power of some species. By discovering the origins of certain inventions through the “super powers” cards, players have new sources of inspiration for their everyday life. The world tour can only be solved in a team, only mutual help and listening can solve all the challenges and acquire new knowledge together. Each card has a great power of a plant, an animal or even a mushroom. You will also find the in which areas super powers has been used. Discover and download in pdf all the examples selected to illustrate biomimicry. 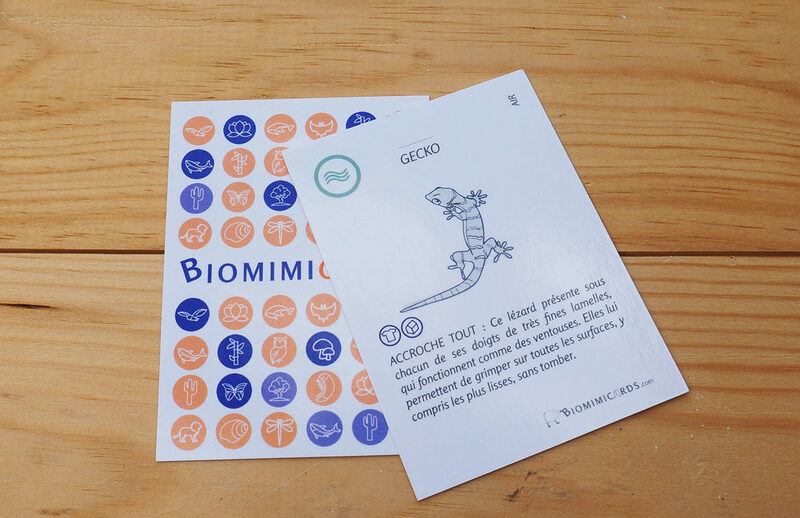 Biomimicards is a learning game, so after a few games, interest in the players becomes less. This game is therefore particularly intended for places that receive public (schools, colleges, recreation centers, museums …) and animators likely to animate a table or accompany players . In addition to the material necessary to animate a table of up to 8 players, you have access in the tool kit to a video that presents the objectives and key principles to animate the game. 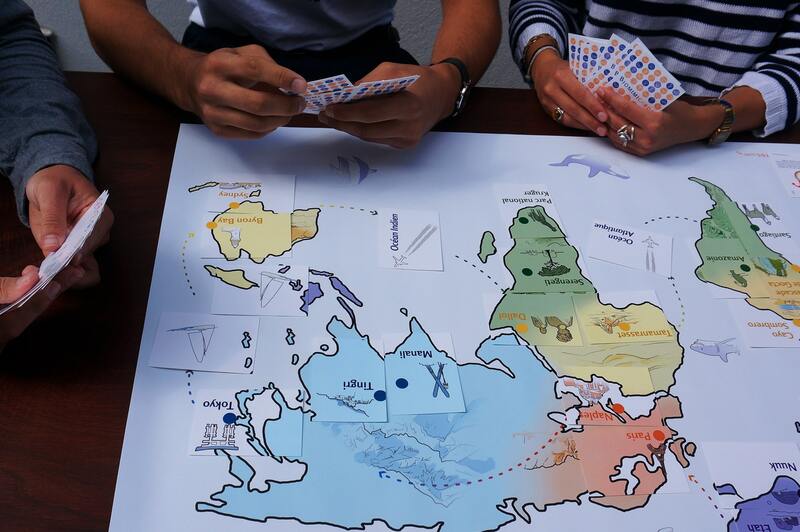 Finally, by buying Biomimicards, you regenerate marine ecosystems by automatically adopting a coral. You receive your certificate from our partner Coral Guardian as well as the GPS location of your coral, which bears your name.